The goods have arrived in Vladivostok from the village, belonging to the Russian Federation. Both variants are associated with specific characteristics and problems. For example, delivery of goods from China to Vladivostok occupy a very significant part in the total cargo traffic as the optimum route of goods from that country to the territory of the Russian Federation runs precisely through this port city. A Vladivostok serves as a distribution center for the trade of most goods arriving in the territory of Russia from the countries of the Asia-Pacific region. 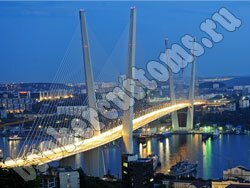 "Association of Customs Brokers" provides a full range of services in delivery of cargoes to Vladivostok from any part of our country, as well as other countries. We have additional offices in all major cities of Russia, as well as the consolidation warehouses and offices in foreign countries, allowing us to place control of loading, correct documentation and dispatch. Our experts are fluent in the art of logistics and have a wealth of experience in the field of customs operations with goods of varying complexity. Delivery of goods to Russia also occupies a large niche in the activity of "Association of Customs Brokers" and leading trend is the delivery of goods Moscow - Vladivostok. Moscow from Vladivostok separates more than nine thousand kilometers and it is in these and connected the main difficulties in the transportation of various cargoes. It is quite difficult to control the safety of cargo and compliance with delivery dates in the organization of such transportation. Our company is characterized in that it has offices in Moscow and Vladivostok. We control the load all along its route. "The Association of customs brokers" experts find the optimum balance between the delivery terms and its value. Depending on the nature of the cargo, the urgency of delivery, and other parameters, we carefully approach to the choice of the route and type of transport. After the analysis of all possible options, we choose the best, we can offer as well various alternative delivery schemes. For example, in order to minimize costs - consolidation of cargo, for convenience - multimodal transportation. We have individual approach to every problem and try to approach the goal of the most comprehensive way. The main task of the "Association of Customs Brokers" - is to solve for the customer absolutely all the issues that relate to the delivery of goods. We value our reputation of professional, reliable business partner, and so the business relations strictly follow all standards and requirements of business ethics. Trust you and our professionalism.